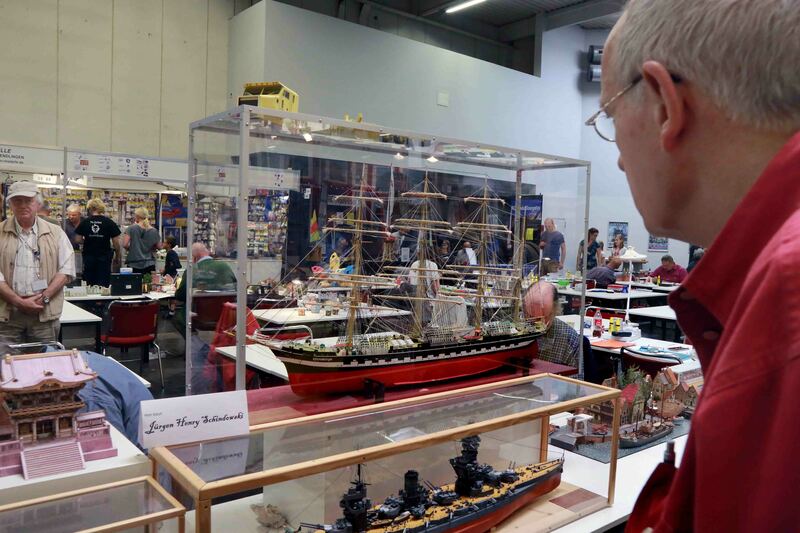 The world’s largest exhibition for model making and model sport will take place at the Dortmund Exhibition Centre from 4 to 7 April. Many international exhibitors from the ship modelling sector are awaited again this year. 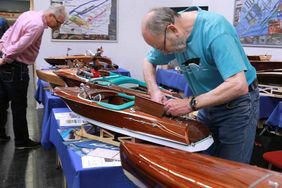 They will showcase models ranging from accurately scaled models, self-made ships and boats, sail models and model sport vessels - demonstrations at the huge water basin included. More than 40 exhibitors from the ship modelling sector will showcase impressive models of sailing ships, paddle steamers and naval ships and many new products in the ‘Ship Hall’ at INTERMODELLBAU in Dortmund. The exhibitors also include a few international exhibitors – even modellers from Russia will be guests. They will showcase about 20 accurately scaled ship models, for example, the Tsar Alexander III battleship. 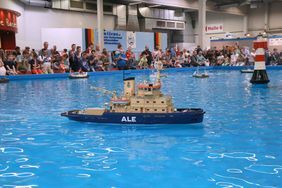 The model is a replica of the Emperor Alexander III battleship of the Imperial Russian Navy. A further model is the Tsarevna Maria battleship which is a replica of the ‘Imperatriza Marija’ battleship of the Imperial Russian Navy. 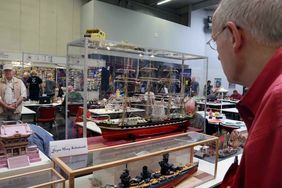 That means that ship models which can rarely be seen in Europe will be presented in Dortmund this year. 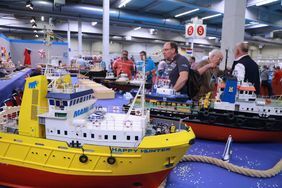 Modellers from the Hofstade municipality in Belgium will also be represented again at INTERMODELLBAU. 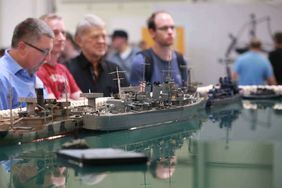 They will show detailed dioramas from the naval area. The focus is on scenes from World War II, predominantly at the coasts in France, Belgium and The Netherlands. These scenes show the smallest historic details. The diorama filled with water has a size of 10 x 3 metres and a 1:96 scale. The presented ship models are radio-controlled. 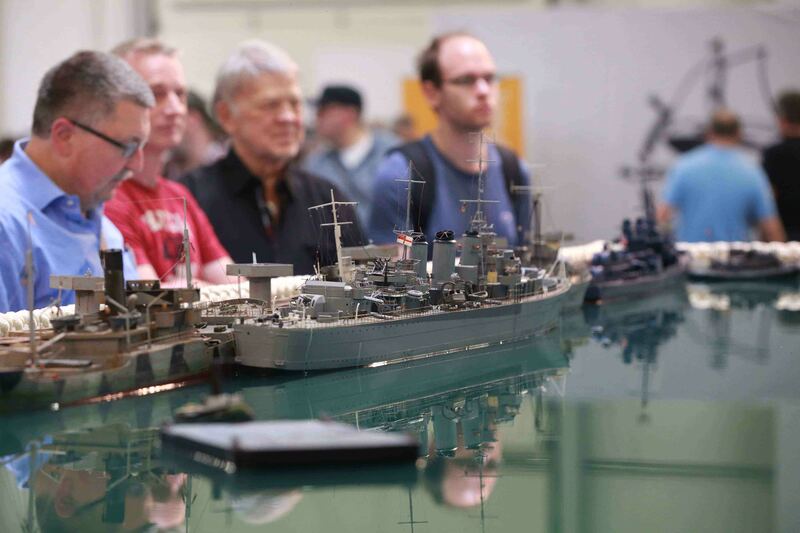 Besides ship modelling, there will also be a comprehensive range of cardboard modelling in the Ship Hall. About 20 modellers will make models live at the exhibition and cover various areas ranging from architecture, aircraft and animals to cars and tanks. Heinz-Peter Weiss makes extremely small models in a 1:1250 scale. That means that a Titanic model suddenly fits on a hand and a container ship is only as high as a two-euro coin. A second highlight is the diorama of the New York Skyline that shows the new Twin Towers and the Hudson River with various ships. 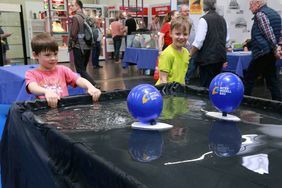 The Neandertal Vocational College will come to INTERMODELLBAU for the fifth time but will have a much bigger stand this year. The students will work live on models, including a freighter, on the stand. 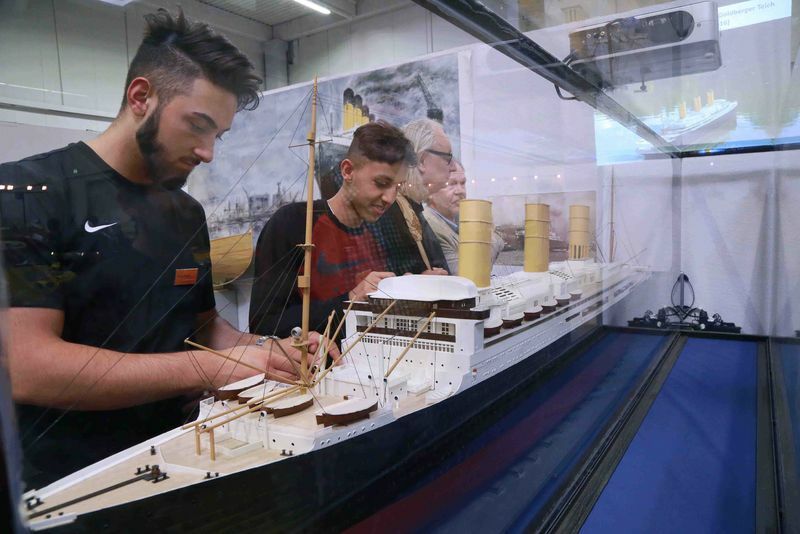 They will also show their Titanic (1:100 scale) that was jointly built by the students and first launched five years ago at INTERMODELLBAU and has since then repeatedly been a real eye-catcher. The yacht modelling interest group, IG Yacht-Modellbau, will present luxury yachts of all sizes at the exhibition. Their exhibition stand has greatly increased in size to 70 sqm this year. 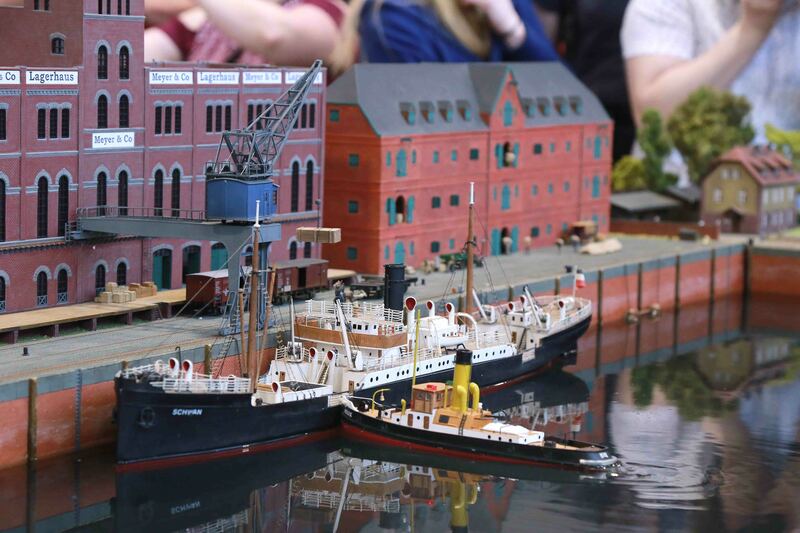 Models with a scale from 1:10 to 1:15 will be shown on a water basin with the scene of a yacht harbour. Various ship models will be presented live on an 18 x 22 metre water basin on all exhibition days – a special highlight for visitors is the live commentary with comprehensive information on the shown models during the presentation. About 25 modellers will come to INTERMODELLBAU with one or several models for this presentation. 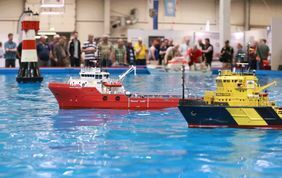 The models include two rescue boats (1:15 scale) that have a weight of up to 70 kilogrammes and have special effects like a fog horn or a fire extinguishing cannon. 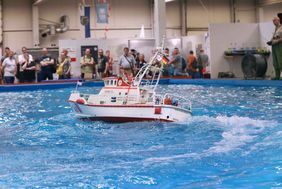 The German sea rescue organisation (Deutsche Gesellschaft zur Rettung Schiffbrüchiger - DGzRS) will also be at INTERMODELLBAU and show models of their latest units. 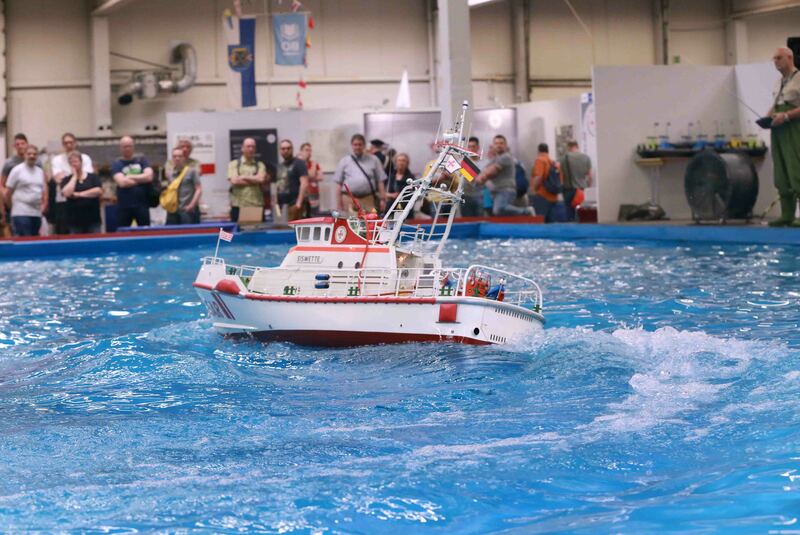 The sea rescue professionals will answer questions visitors may have and will report on their rescue missions. The DGzRS organisation is financed by donations. 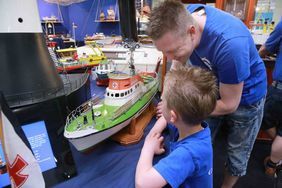 Visitors can acquire plans and photos of the ships at INTERMODELLBAU by making a donation.